Monster, the world leader in high-performance personal audio, is proud to present the striking N-Tune headphones created in collaboration with entertainer and entrepreneur Nick Cannon. Leading the NCredible range, the Monster N-Tune on-ear headphones feature Pure Monster Sound, and are the ultimate companion for music lovers of all ages. With the firm belief that nothing motivates you like music, the N-Tune on-ear headphones from Monster are a must-have accessory for today's youth. Lightweight and durable, the N-Tune On-Ear headphones (pictured right) ooze street style and are comfy enough to be worn all day long, allowing music fans to blast their favourite playlists for hours. The N-Tune headphones are the perfect companion for long family road trips and school bus rides, and are equally as fun for gaming sessions or simply chilling out. Whether they're tuning into an mp3, mobile phone or other music devices, the N-tunes are great for anyone who appreciates the highest sound quality, absolutely anywhere! Teaming an incredibly sleek look with professional-level audio performance, the Monster N-Tune headphones are renowned for their innovative technology and astoundingly big sound, which is unaffected by their convenient and compact size. Available in five delicious -Candy' colours, including Grape, Lime, Cherry, Blueberry and Tangerine, you'll be amazed by the fun designs and dynamic sound on offer, whatever your preference. 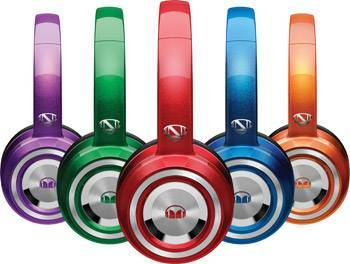 The N-Tune headphones by Monster are available to purchase at JB Hi Fi and Tech2Go stores for $149 (RRP). For more information on Monster or the N-Tunes headphones, visit www.convoy.com.au or call Convoy on +61 2 9700 0111. Alternatively visit Monster's Facebook, Instagram or Twitter.